Hypoxia Workshop Slated for July 29 in Sacramento – Neptune 911! SACRAMENTO, Calif. ‐‐ Much of the carbon dioxide released from the burning of gasoline, natural gas, and other fossil fuels dissolves in seawater, making the earth’s ocean increasingly corrosive. The profound chemical changes – called “acidification” – plus the linked ocean changes that create low‐oxygen dead zones called “hypoxia” ‐‐ threaten the ocean food chain and the coastal communities that depend upon healthy ecosystems. The public is urged to learn more about these phenomena at a July 29 workshop in Sacramento sponsored by California’s Ocean Protection Council and Ocean Science Trust. West Coast state leaders and scientists will discuss how to address ocean acidification and hypoxia in a regional, unified, and effective way, and will highlight the work and emerging messages of the West Coast Ocean Acidification and Hypoxia Science Panel (the Panel). The Panel is an interdisciplinary collaboration of scientists linking the governments of California, Oregon, Washington and British Columbia. The Panel seeks to help decision‐makers develop effective management and policy actions for these shared, coast‐wide challenges. The ocean is the earth’s largest reservoir of carbon dioxide. Like climate change, ocean acidification is connected to excessive greenhouse gas emissions. Since the Industrial Revolution began, experts estimate that oceans have become 30 percent more acidic, and they could become 150 percent more acidic by the end of the century. Acidification makes it harder for organisms at the base of the oceans food chain – including some phytoplankton, corals, sponges, marine worms, and mollusks – to form protective shells and skeletons. Their decline can reverberate through the food chain, affecting other species that depend upon them. Knowledge of the extent of impacts to marine life is growing rapidly. Scientists also have documented an increase in the frequency and size of extremely oxygen‐deficient zones in offshore waters. In 2002, for example, oxygen levels in waters just off the Oregon coast dropped nearly to zero, killing or driving away thousands sea creatures. A zone of hypoxia has returned to the Oregon coast every year since, which has implications for commercially important species like Dungeness crab. Ocean Science Trust convened the West Coast Ocean Acidification and Hypoxia Panel at the request of the Ocean Protection Council and in collaboration with Oregon’s Institute for Natural Resources. The Panel, along with West Coast state leadership groups such as the Pacific Coast Collaborative, is advancing these issues in front of Congress, the National Oceanic and Atmospheric Administration and the U.S. Environmental Protection Agency. The Panel is calling for greater regional and cross‐border efforts to address these threats with enhanced federal support. Acidification and hypoxia occur against a backdrop of additional changes in ocean conditions along the West Coast, including warming and changes in freshwater inflows and runoff. The Panel’s work highlights the need to consider multiple stressors. The Ocean Protection Council is leading conversations in California about ways to readjust management and policy approaches as ocean chemistry changes. While acidification is driven primarily by global atmospheric inputs of carbon dioxide, actions taken at the local and regional level can lessen impacts. These are the focus of the Panel’s latest publication, released in a special issue of Oceanography. 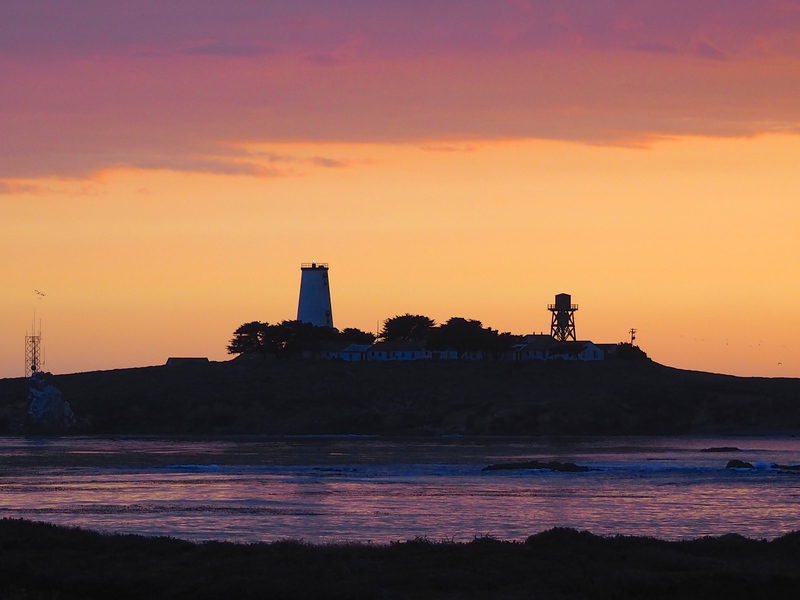 About the Ocean Protection Council: The mission of the Ocean Protection Council is to ensure that California maintains healthy, resilient, and productive ocean and coastal ecosystems for the benefit of current and future generations. The Council was created pursuant to the California Ocean Protection Act (COPA), which was signed into law in 2004 by Governor Arnold Schwarzenegger. For more information, please visit http://www.opc.ca.gov. About Ocean Science Trust: California Ocean Science Trust is a boundary organization. We work across traditional boundaries, bringing together governments, scientists, and citizens to build trust and understanding in ocean and coastal science. We are an independent non‐profit organization established by the California Ocean Resources Stewardship Act (CORSA) of 2000 to support managers and policymakers with sound science, and empower participation in the decisions that are shaping the future of our oceans. For more information please visit us at http://www.oceansciencetrust.org on Twitter or Facebook, or call (510) 350‐1892.